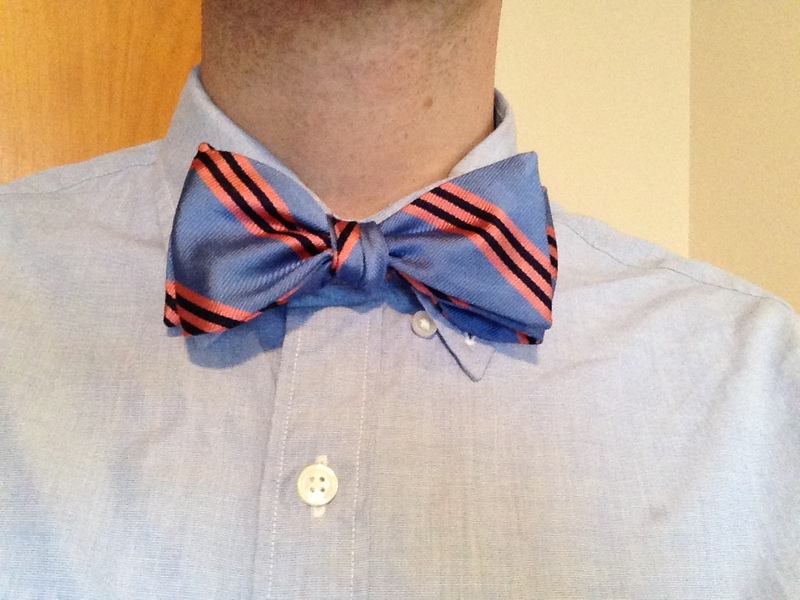 Nothing celebrates the return of warm weather like a bow tie. With the height of spring rapidly approaching, what better time to highlight one of the all-time great WASP fashion accessories: the bow tie. While the general theme of WASP fashion revolves around the subtle and understated, the bow tie is unique for its boldness. 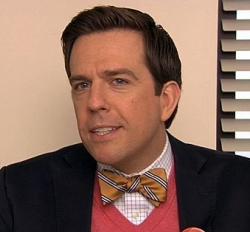 Perhaps its the bow tie’s association with classic formal wear, or the stereotype of people who traditionally wear them, or maybe it’s simply the fact that they’re so difficult to tie. Whatever the reason; when you put on a bow tie, people will notice. 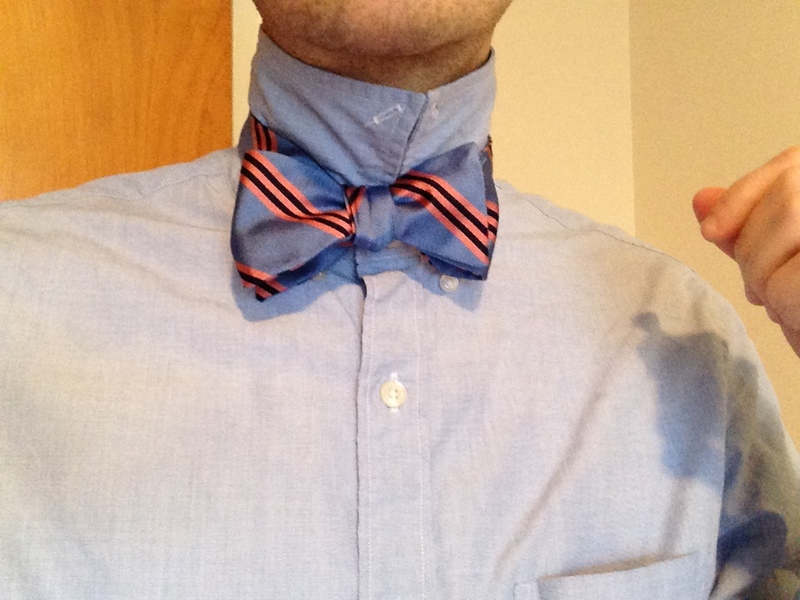 But not to fear, the howtoWASP is here to help and by following a few simple rules you’ll be a bow tie pro in no time. In a departure from most things WASP’y, the bow tie does not trace its origins back to Great Britain, or even Western Europe for that matter. Instead we have the Croatians to thank. 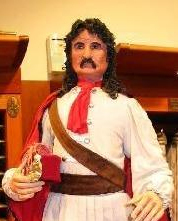 Back during the Prussian Wars of the 17th Century, Croatian mercenaries were hired to fight for King Louis XIII and became known for the knotted silk scarves they used to hold the top of their shirts closed. The scarves aroused the curiosity of Parisians who began wearing the “cravats” (simply French slang for Croat at the time) themselves and a fashion legend was born. The style caught on in France, particularly among the upper class, and became wildly popular over the course of the 18th and 19th centuries. During that period, the cravat evolved into the modern bow tie and eventually the neck tie of today. Of course it wasn’t long before the British, who often looked to the French as the vanguards of fashion, began to emulate the style on their own, furthering the bow tie’s popularity and world wide exposure. Fortunately the bow tie is making a comeback. Gone are the stuffy/nerdy stereotypes of the past. Today the bow tie can be the perfect option for the fashion forward WASP who’s not afraid to stand out amongst the crowd. As mentioned earlier, part of the mystique surrounding the bow tie probably comes from the fact that they’re so difficult to tie properly. Truth be told, the knot itself isn’t all that complicated, but unlike a typical necktie (with a Full Windsor for example), a bow tie is not adjustable. In other words, there is no margin for error. Once it’s tied, it’s not going anywhere, so it better be done right. That being said, let’s try and walk through the process. Note that all directions are given relative to your own body (i.e. they will be reversed when looking in a mirror). 1) If you have an adjustable tie, be sure to set the correct neck size. Sometimes it’s helpful to go 1/2 size larger to give you a bit more material to work with. 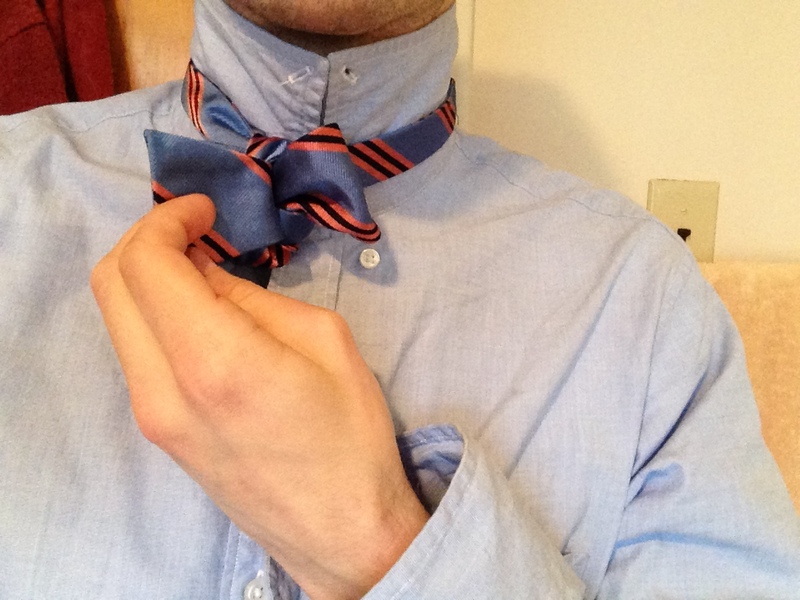 Drape the tie around your neck, with the left side just sightly longer than the right. Then cross the left side over the right. 2) Take what is now the right side and pass it around the back of the knot so it hangs over the front. 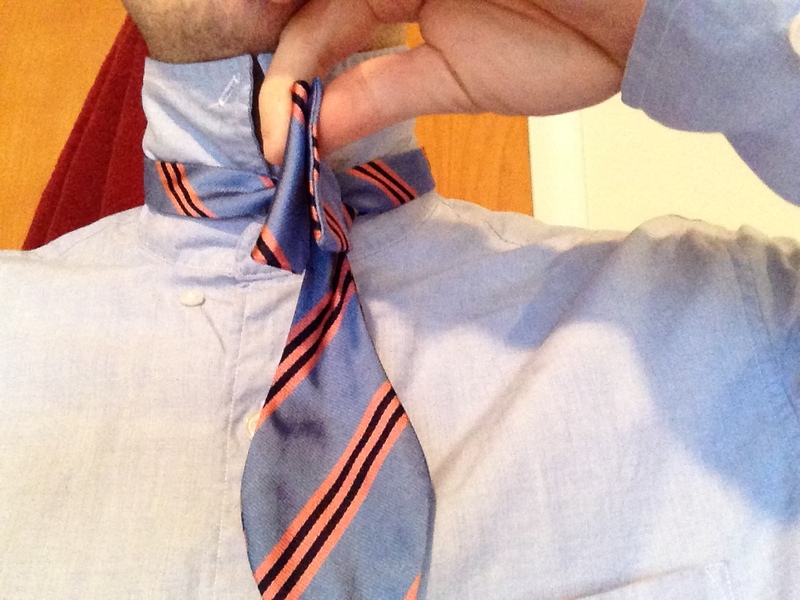 Grab both ends and pull lightly to comfortably tighten the tie around your neck. Right side back and around. Tighten comfortably. 3) Take the left side and fold the flap over on itself so that it forms the bow shape. You’ll want the folded side on the right and the single end on the left. 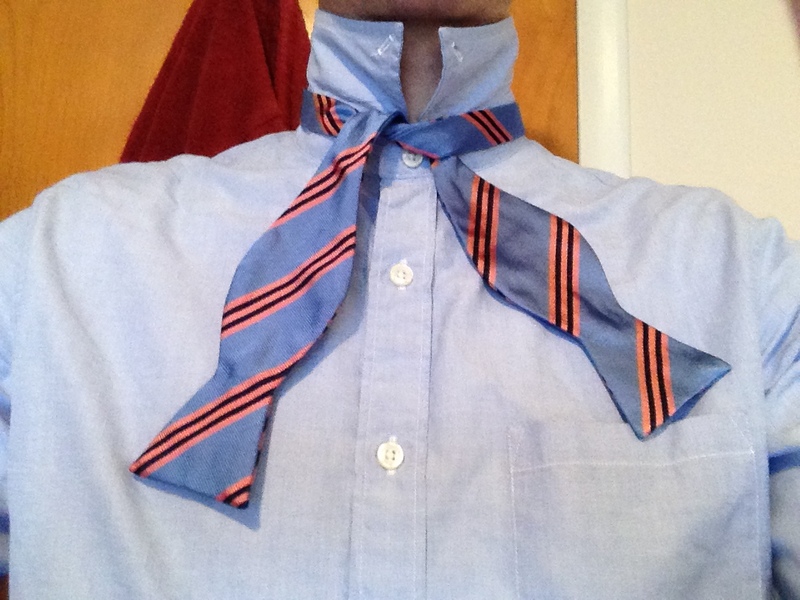 The right side of the tie should be draped over the middle of the new bow. The un-folded end is being held. 4) Here’s where it starts to get tricky… Fold the ends of the bow together in front and hold then with your hand. 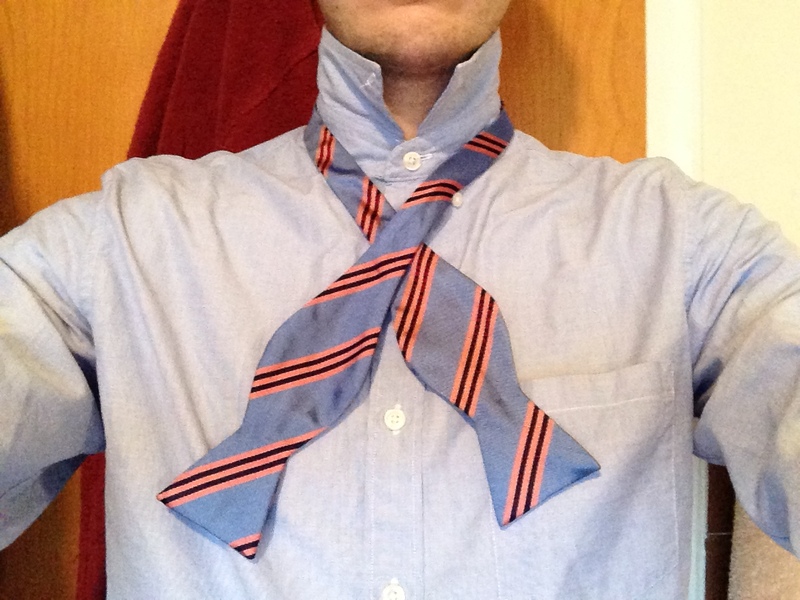 You should have the right (unfolded portion) side of the tie trapped in the middle of the fold. Then pull down slightly on untied portion to cinch the knot a bit. Fold and hold. This is where things get tricky. 5) Now things get really difficult. If you pull the pinched ends out slightly, you’ll notice a hole in the back of knot. Take the unfolded portion of the tie and push the wide portion of the fabric back through the hole,right to left, folding it on itself on the other side. The idea is that you want to create another bow shape, matching the bow in front (the one you created in step 3). The only difference is this time the folded portion will be on the left and the single end on the right. Don’t worry about getting the knot tight, proper basic form is all you need here. Notice the hole, this is where the undone portion must be pushed through. Half the the back bow has been pushed through. Adjust as necessary. 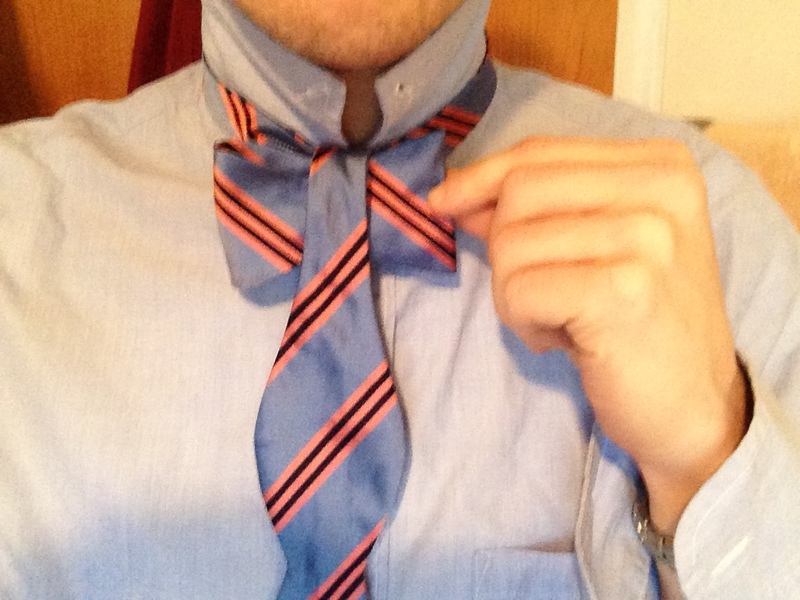 6) You should be left with a loose version of the final knot with one bow in front and an identical bow in back. It takes a lot of practice to get to this point, but if you make it, you’re 95% of the way there. If you made it this far, you’re gold. 7) Now all that’s left is to cinch down the knot to make it look great. Grab the back folded half of the knot in your left hand and the front folded half in your right. Then pull the ends very slightly to begin to cinch down the knot. If the ends are in danger of being pulled through the knot, stop and recenter the front and back, one at a time. The knot should stay tight while you recenter the front and back bows. Repeat the cinching procedure until the knot is tight. Pull the double folds apart. About 75% of the way there. 8) To finish things off, before the final cinch, take the edge of the front bow in the middle and give it a little fold forward along the top and bottom of the knot. 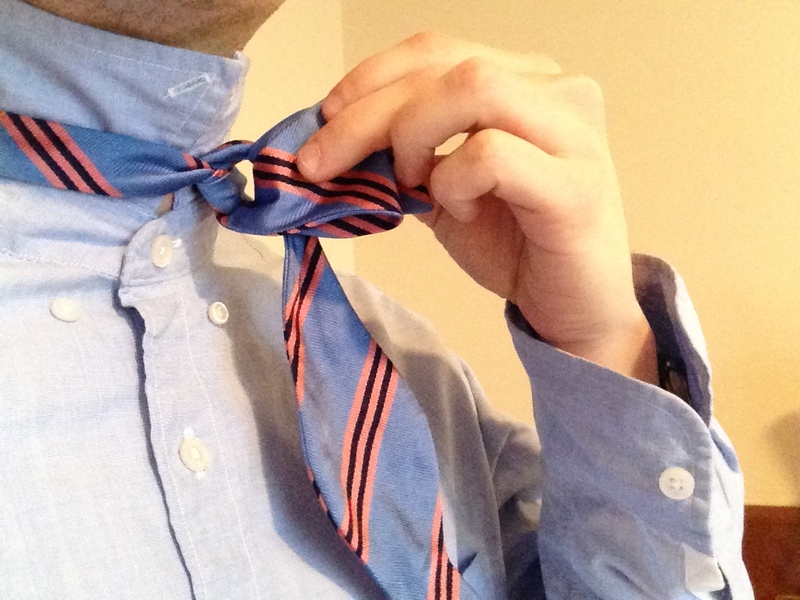 The ideal is to create a uniform pinch in the middle of the tie. Think like a piece of bow tie pasta. Once you have it, give the knot one more final pull to cinch things down for good and you’re ready to impress! Done! Notice the folds in the middle near the knot. 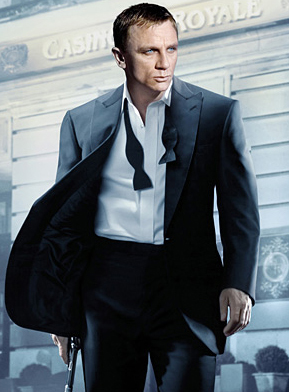 Bond likes the “undone” bow tie look. So should you. Oh, and to remove the tie, simply pull single ends of the tie (as opposed to the folded ends, which you used to tighten the knot) and you’re free. As a bonus you can then rock the “undone bow tie look”, which is unequivocally one of the coolest looks in all of fashion, WASP or otherwise. 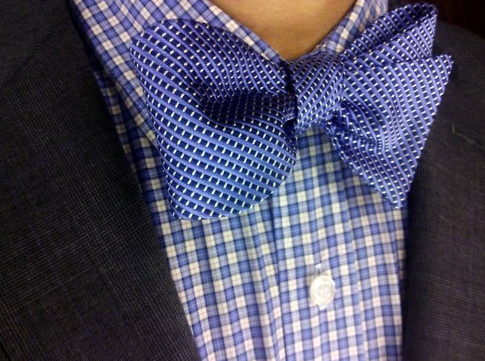 Now that you know how to tie your bow tie, the only issue that remains is what to wear it with? The options here are endless, but in order to avoid falling into the stereotype zone (i.e. looking like a nerd) I would suggest keeping things conservative by not wearing the bow tie without some type of formal jacket (suit, blazer, sport coat). Remember that typically bow ties are considered one step up on the formal scale, so plan accordingly. In terms of colors you’ll want to follow the same rules you (hopefully) use for choosing a neck tie. In other words, contrast is good, but you’ll want to match at least one color in the tie to the color of your shirt. Unless your shirt is white, then the sky’s the limit. But in general, don’t be afraid to go bold. 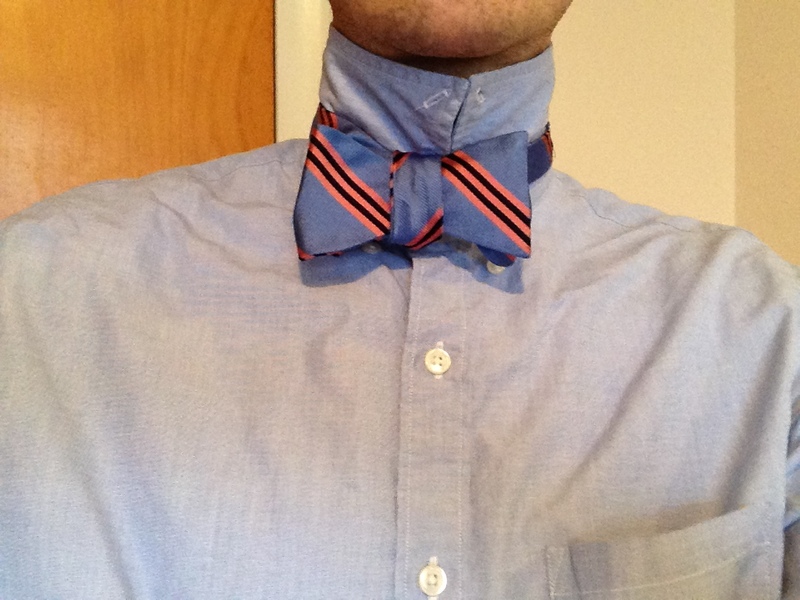 After all, the whole point of wearing the bow tie is to stand out and be noticed. He may be a doofus at times, but he does know how to wear a bow tie. Lastly a word on formal wear. Bow ties should always be a no-brainer when it comes to putting on a tux. The modern neck tie may be acceptable these days, but the fact of the matter is that you won’t look nearly as cool as you will with the bow tie, especially one that you’ve tied yourself! Just be sure to keep it classic. No colors besides black (for black tie) and a basic conservative shape is all you need. Go out, get a bow tie, and start practicing! For your first tie, I would recommend something conservative that will match a wide variety of shirts. Also you might want to avoid smaller ties, as the lesser amount of material makes them more difficult to knot properly. Finally, you’ll definitely want to get an adjustable strap. Need a place to start? Like most WASP’y fashion, you can’t go wrong with Brooks Brothers. If you’re having trouble mastering the typing technique, check out YouTube, which has plenty of how to videos of varying usefulness.